Huw Macartney does not work for, consult to, own shares in or receive funding from any company or organisation that would benefit from this article, and has no relevant affiliations. “The age of irresponsibility is over” declared the governor of the Bank of England at the annual Mansion House dinner to the great and the good of the financial world. Along with the chancellor of the exchequer, George Osborne, Mark Carney unveiled a host of new sanctions and procedures designed to clean up financial markets. Delivering the Fair and Effective Markets Review, an annual assessment of the way financial markets operate, they mentioned 11 recommendations ranging from new regulations against manipulating markets to tightening up hiring and training policy in the financial services industry. But the most eye-catching feature of the review was the demand for enhanced criminal prosecutions of “individuals who fraudulently manipulate markets”. 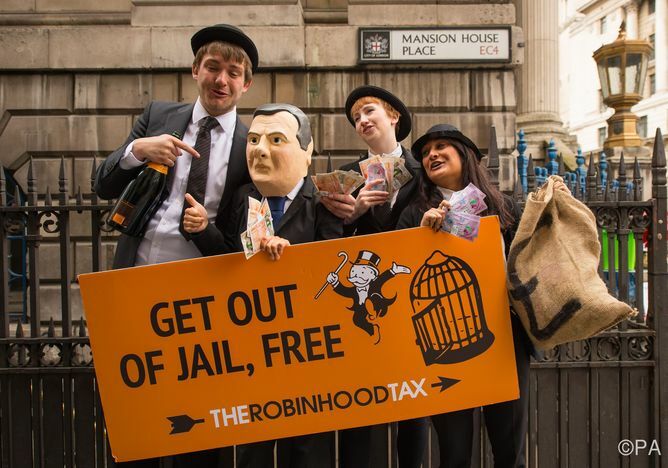 In Osborne’s words, people “who commit financial crime should be treated like the criminals they are”. The review therefore recommended that criminal sanctions for market abuse should be extended to traders in foreign exchange markets and that the maximum sentences for wrongdoing should be lengthened from seven to ten years. Osborne and Carney were also critical of the Bank of England for failing to identify risks and abuses in the banking system in the run up to the financial crisis. But there are actually far more parallels between Carney and his predecessor, Mervyn King, than you might assume on the evidence of the Mansion House speech. King, who experienced the banking crises (bail-outs and scandals) in the last few years of his governorship, was also critical of the failures of the largest banks. Carney has followed in his stead, voicing his criticisms of the industry, and has enjoyed new powers as a result of the Financial Services Act, passed in 2012. Strong criticisms have therefore been accompanied by new regulatory bodies such as the Financial Policy Committee and Prudential Regulatory Authority (replacing the old Financial Services Authority). But the real message behind the Mansion House speeches is that the state’s approach to policing the banking system is indeed toughening – precisely because change has been so slow in forthcoming. Amid the creation of new, formal regulatory bodies (FPC, PRA, FCA), a host of other relatively informal, or advisory bodies have emerged too. These include the Parliamentary Committee on Banking Standards and the Banking Standards Board. Another one was recommended in this latest review – the Market Standards Board. What all these bodies have in common is that they are trying to remedy irresponsible behaviour on the part of individuals working in financial services, and to improve the “culture” of banking. Improving banking culture has two faces. It is partly a PR exercise aimed at improving consumer confidence in the banks. But it is also about addressing a more substantive threat posed by bad behaviour. That change in culture has been slow. The recent forex scandal, for example, revealed that corrupt behaviour in these markets was still occurring in the UK up until 2014, long after the Libor, IRSA and PPI revelations. Many in the room at the Mansion House were expecting the big announcement to focus on concessions on the bank levy. 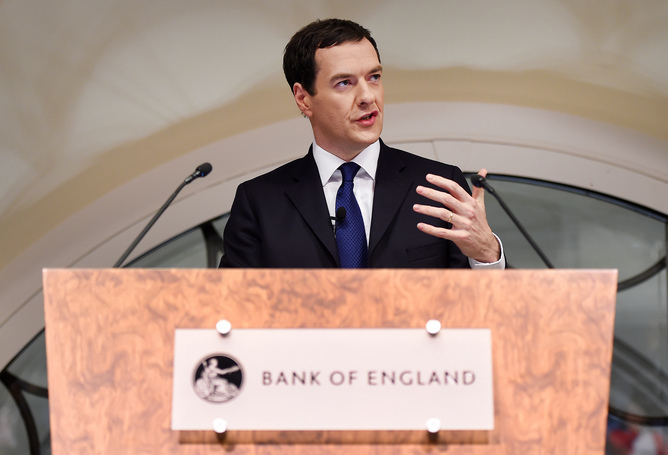 The expectation – with half an eye on HSBC’s announcements (read: veiled threats) earlier in the week – was that the chancellor might cede some ground to the largest banks. Instead though, the ominous silence on the bank levy and the tough-talking approach reinforce an important message: that the state is no longer willing or able to turn a blind eye to irresponsible banking. What is most noteworthy in the latest review is that it shows the Conservative government – known for its strong stance on welfare cuts and typically labelled a business-friendly party – is also taking a tough stance on the UK’s biggest industry, financial services. But this is not as surprising as it might appear. The same principles that underpin the Tories’ position on the welfare state also underpin their take on individuals who commit fraud and cheat in the financial services industry. The Conservatives are fulfilling a role assigned to them by classical, liberal thinkers such as Adam Smith – that of a market police ensuring the “better” functioning of the market mechanism itself and maintaining the legitimacy of commercial society. This is because, in the mind of the Conservative government, it is not simply “free-riding” benefit claimants which threaten the market mechanism, but the collusive behaviour of individual bankers as well. Ultimately, the Fair and Effective Markets Review is more than just another piece of clever political rhetoric. It is being backed up by genuine changes in the regulatory approach to anti-competitive behaviour in the financial services industry. The hope is that, gradually, the culture of banking will indeed change and legitimacy and credibility can be restored to the banking system. 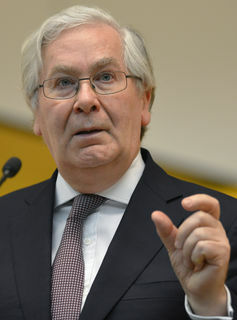 But, as some commentators have also noted with some concern, the UK’s unhealthy addiction to cheap consumer credit, high levels of mortgage borrowing, and consumption-led recoveries, means that Britain’s financial worries run far deeper than just the behaviour of a few “bad apples” in the banking industry.